THE MYSTERY IS FINDING OUT WHERE THE TOUR WILL TAKE YOU. 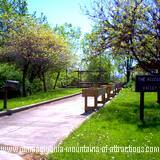 The Allegheny Mountains Conventions and Visitors Bureau create a FREE Mystery Tour June, July, August and October. 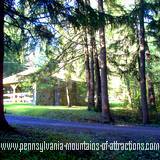 It's always a great way to get the family outdoors and touring Central Pennsylvania and the historical Allegheny Mountains. You'll enjoy easy-to-follow directions. Each tour has been carefully planned, it's free and self-guided. Tour packets with easy-to-follow directions are provided with each theme during the tour months. You can even pickup past tour packets to enjoy anytime, even when the tours aren't provided. People that have never experienced a Central Pennsylvania Mystery Tour are always asking me to explain exactly what it is. Where do you go on these Mystery Tours and how do you go about getting the packet. 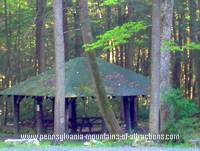 It's a FREE guided tour through the Allegheny Mountains in the comfort of your car. It's a mystery where you are going and what you'll see when you get there. You just follow all the direction in the packet and be prepared to stumble upon the most unique places in Central Pennsylvania. 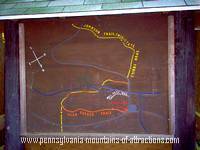 The Central Pennsylvania Mystery Tours started back in 1964. Due to the popularity over the years the bureau gradually widened the tours and now cover 6 Central Pennsylvania Counties. Every Tour has a theme. You could actually say the title of the theme is your first clue. When you pick up your FREE 3 to 6 page guide at the Allegheny Mountains Conventions and Visitors Bureau you'll notice questions about the sites you'll be visiting and the answers can only be found at each of your stops. You are told to set your odometer to 0. This is where your tour begins. Even when the price of gasoline is outrageous it's still worth investing in a one-tank trip to go on a Mystery Tour through the Alleghenies. The gas will probably be the biggest expense of the trip. 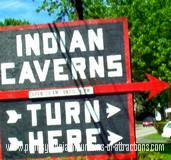 Most of the stops on your tour offer FREE parking and FREE admission or you'll find some stops like Pennsylvania Museums and Memorials , caverns or historical Pennsylvania sites in the Allegheny Mountains where admission prices are always inexpensive, especially on Mystery Tour weekends because you'll get a discount. If you're worried about spending a lot of money you can always take a picnic along. One thing I can guarantee, you'll always stop somewhere that has a picnic area. The most important tip I can offer is that you pay close attention to the Tour Guide and your odometer. The Allegheny Mountains are full of twists and turns and so many country back roads that it's easy to pass up a turn, or worse yet, get lost. But even when you get lost it can be a lot of fun. One of the Mystery Tours my family enjoyed was in May, 2007. 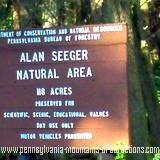 The theme was "Natures Wonders in the Alleghenies". 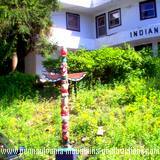 As always it started out in Altoona at the Allegheny Mountains Conventions and Visitors Bureau. Everybody loves a good mystery. When you find an opportunity to interact with your family and enjoy a mystery that will guide you along while allowing you to find interesting sites that you would have never been able to find on your own. Many of the sites you'll want to visit again when you have more time to explore. 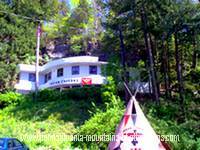 You'll also learn a lot of history about the Allegheny Mountains, visit museums, and find good restaurants that you didn't know existed. 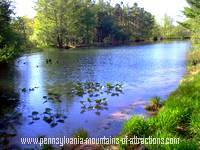 You can spend as long as you want to explore each Pennsylvania attraction or just pass it by, although I doubt if you'd want to pass up anything of the mysterious stops. When the tour leads my family into a Pennsylvania State Park that we have never been to before we lose track of time and end up spending most of our day there. We've already taken a swim in the lakes with all our clothes on. Finding a swinging bridge, new hiking trails and catching wildlife peeking at us through the brush is like finding a gold mine to my family. 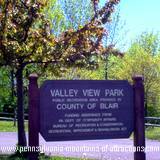 For heavens sake, get your family together and take a ride, enjoy the outdoors, interact with nature and discover new Pennsylvania attractions tucked away deep in the forests of the Allegheny Mountains. Oh, by the way, you can also win prizes once you gather all the answers to the questions on your Mystery Tour!